It is almost that time of the year again when we are all headed to attend the largest SQL Server conference in the world, the PASS Summit, hosted again in Seattle. In my particular case I will also be attending some other SQL Server events where I will be given probably more than a dozen presentations. But like a rock band getting ready for a world tour 🙂 I’ll start warming up with a local gig at our SQL Server user group. I’ll be presenting Query Processing in In-Memory OLTP (Hekaton) this Thursday, September 18th at the Los Angeles SQL Server Professionals Group. Their meetings are hosted at the UCLA campus and you can visit their page for more details. Two days later I’ll be attending our SQLSaturday in San Diego where I am schedule to present three sessions: the Hekaton session previously mentioned, Understanding Parameter Sniffing and Dive into the Query Optimizer – Undocumented Insight. As usual this event includes great speakers from all over the country and this time we will have Itzik Ben-Gan, Grant Fritchey, Randy Knight, TJay Belt, Mickey Stuewe, Brandon Leach, and Andrew Karcher among others. You can see the schedule and register at the SQLSaturday website. So far I only have one event scheduled for October which is a local user group meeting at the San Dimas Software & Database Professionals group where again I will be presenting my Hekaton session. The session is scheduled for October 8th and you can find the meetup page here. Then the first week of November I’ll be attending both the MVP Summit and the PASS Summit in Seattle, WA. But my flight will make a short stop first in Portland, OR to attend the Oregon SQLSaturday which is scheduled for November 1st. My only session for the event, Query Processing in In-Memory OLTP (Hekaton), is scheduled at 4:30pm. After the Oregon SQLSaturday I will be attending my first MVP Summit from November 2nd to November 6th. I am excited to be attending this event for the first time. The PASS Summit starts on November 4th and I’ll be presenting Query Processing in In-Memory OLTP on Friday, November 7th at 8:00am, rooms 611-612. This would be my 12th PASS Summit and my 7th year as presenter. Before closing 2014, I’ve been invited to Istanbul, Turkey to participate on their SQLSaturday which is scheduled for the first weekend of December. I am planning to deliver a pre-con on Friday 5th covering “SQL Server Query Tuning & Optimization” topics and will be presenting my Hekaton session at the SQLSaturday the following day. I’ll provide or tweet more details as they become available. I look forward to seeing lots of SQL Server professionals and meeting new friends at these SQL Server events. Finally, after writing a new book this year it looks like I took a good break from writing. I just started working on some articles again and will be posting them soon both on this blog and on SQLPerformance.com. I am really excited that this weekend I will be flying to the UK to participate in my first European SQL Server conference, SQLBits XII, where I am scheduled to present 2 sessions. SQLBits XII, the largest SQL Server conference in Europe, will be held at The International Centre in Telford, UK from July 17th to July 19th. My first session, Dive into the Query Optimizer – Undocumented Insight, is scheduled for Friday 18th at 12:15 PM, room Ironbridge 3 and the second one, Understanding Parameter Sniffing for Saturday 19th at 8:15 AM, room Wenlock 1. These are sessions I have presented previously at the PASS Summit. In addition, I got selected to present a session at the PASS Summit 2014, which will be held again in Seattle, WA this November. The PASS Summit is the largest SQL Server and BI conference in the world and this would be my 12th year attending, and my 7th year as a presenter. My session, Query Processing in In-Memory OLTP, will cover query processing and optimization with the new Hekaton database engine, a topic which I also cover in a chapter of my new book. Just a few days after the sessions for the PASS Summit 2014 were announced, I also got the nice surprise that I was awarded as a SQL Server MVP. It is a great honor for me to be part of this awesome team. Finally, my new book SQL Server 2014 Query Tuning & Optimization has been completed and will be soon published by McGraw-Hill Education. I look forward to meeting lots of SQL Server professionals on these conferences. See you all in Telford and Seattle. In just a few days I will be headed to Charlotte, NC to attend my eleventh PASS Summit. Yes, I’ve been attending this, the largest SQL Server and BI conference in the world, every year since 2003. I am also honored to be speaking at the conference again making this my sixth year as a presenter. My session, Defeating the Limitations of the Query Optimizer, which I just presented for the first time at the San Diego SQLSaturday #249, is scheduled at the end of the conference, Friday 4:15 PM at the Ballroom B. Of course I am also planning to attend many sessions. I haven’t finished my schedule yet but of what I have seen so far I definitely want to attend Mark Russinovich’s Windows Azure Deep Dive, Bob Ward’s Inside SQL Server 2012 Memory: The Sequel, Conor Cunningham’s OLTP Sharding Techniques for Massive Scale, Kevin Liu’s SQL Server 2014 In-Memory OLTP: DBA Deep Dive and Kevin Farlee’s SQL Server 2014 In-Memory OLTP: DB Developer Deep Dive. In addition to the PASS Summit I will also be attending SQL in the City on Monday and SQLSaturday Charlotte BI Edition on Saturday. I will also be speaking at this last event where I will present my session Dive into the Query Optimizer – Undocumented Insight. You can still register for these two free events. I look forward to meeting lots of SQL Server professionals, including those whom I only know via twitter. See you all in Charlotte! I can’t believe I haven’t posted anything in my blog in months. Just after getting back from the PASS Summit 2011 I got involved in several SQL Server projects and I’ve been really busy since then. By the way, I just recently saw my first article published in SQL Server Pro (formerly SQL Server Magazine). The article, “Improve the Performance of Data Warehouse Queries with Columnstore Indexes”, can also be seen online here at the SQL Server Pro website. Also, just a few days ago I was selected as a 2012 Idera ACE so I am really excited to be part of this team. In addition, I will be speaking at some SQL Server events this month. First, I will be presenting a session at 24 Hours of PASS, which is a free event with 24 consecutive SQL Server webcasts and it is scheduled for March 21st. My session, Improving the Performance of your Data Warehouse Queries with Columnstore Indexes will be the last session of the event and it is scheduled for 4:00pm Pacific Time. This edition of 24 Hours of PASS will feature close captioning in 15 different languages and you can still register here. Three days after 24 Hours of PASS I will be presenting four sessions at our local SQLSaturday #120 in Orange County, CA. SQLSaturday #120 will be held at the Goldenwest College in Huntington Beach on March 24th and will include many great speakers like Grant Fritchey, Kendra Little, Jeremiah Peschka, Denny Cherry, Lynn Langit, Audrey Hammonds, and Carlos Bossy, just to name a few. Just after SQLSaturday #120 I will be headed to Las Vegas, NV to participate on my first SQL Server Connections conference. The Spring 2012 edition of SQL Server Connections will run from March 26th to 29th and will host one of the SQL Server 2012 launch events. I will be presenting my session Top 10 Query Optimizer Topics for Better Performance on Thursday afternoon. As always, I look forward to meeting lots of SQL Server professionals on these events. 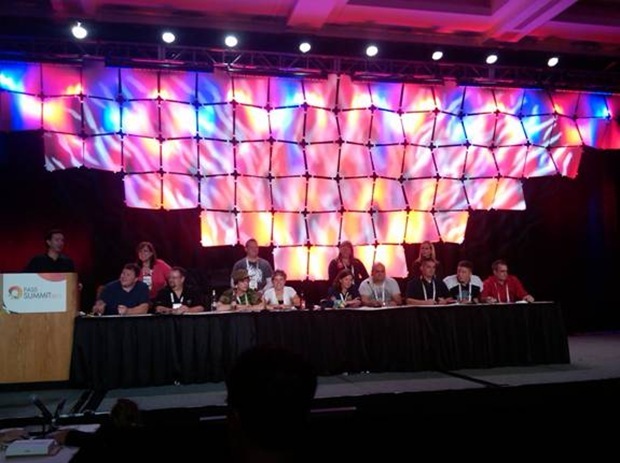 This is my late review of the PASS Summit 2011, which was hosted once again at the Washington State Convention & Trade Center in Seattle a couple of weeks ago. The PASS Summit is the largest SQL Server event in the world and this year was scheduled to run 189 sessions with 204 speakers from all over the world. In addition to being my ninth year attending this conference I was also excited that this was my fourth year speaking there as well. So the week started for me on Monday morning flying from Los Angeles to Seattle. Later in the afternoon I went to the registration area where I started meeting a lot of people of the SQL Server community just to end the day with some SQL Karaoke at the Bush Garden. I was originally scheduled to attend Dr. David DeWitt’s pre-con “A Peek Inside an RDBMS” on Tuesday but unfortunately it was cancelled and I didn’t attend any other pre-con that day. The Welcome Reception was held on Tuesday night and included the traditional Quiz Bowl, which I show in the next picture. From the Welcome Reception some of us went to the Speakers and Volunteers Party at hosted The Garage. On Wednesday, the first keynote of the conference started with Rushabh Mehta, PASS President, and was followed by Ted Kummert, Microsoft Senior Vice President, Business Platform Division. Not a big surprise but Ted made it official that SQL Server code-named Denali will now be named SQL Server 2012 and will be released on the first half of the next calendar year. Among other things, Ted talked about Big Data and announced that Microsoft will be supporting Hadoop and it is planning to deliver Apache Hadoop-based distributions for both Windows Server and Windows Azure. He also mentioned that SQL Server and SQL Server Parallel Data Warehouse connectors for Apache Hadoop had being released just the previous week. By the way, all three keynotes of the conference were broadcasted live and you can still watch them on demand at the PASS website. The rest of Wednesday after lunch I went to a couple of sessions. With 15 sessions running concurrently choosing which ones to attend was not an easy task. I attended Bob Ward’s half-day session “Inside Tempdb” and later went to Aaron Bertrand’s “What’s new in SQL Server code-named Denali – Engine and Tools”. Half-day sessions were new at the PASS Summit this year. On Wednesday night I went to the SolidQ Party, which I’ve also attended in previous years. I was not presenting any session on Thursday so I just went to the keynote and spent the rest of the day attending sessions. The keynote included Bill Graziano, PASS Executive Vice President, Finance, and Quentin Clark, Microsoft Corporate Vice President. Quentin started talking about SQL Server 2012 and warned that would be impossible to talk about all the hundreds of new features and improvements of this new version so instead he went into explaining his 12 favorite areas of value, which he called the “Fantastic 12 of SQL Server 2012”. He spent the rest of the keynote talking about the most important new SQL Server 2012 features grouped into these 12 areas of value. After the keynote, my choice for session in the morning was Itzik Ben-Gan “Bug or Feature?”. During lunch I was on the same table as Eric Hanson, Principal Program Manager Lead, Query Processing and Storage at Microsoft, so I used the opportunity to talk to him about the new columnstore indexes feature. After lunch I went to the session “Physical Join Operators” by Ami Levin, which was very entertaining. I continued with Rob Farley “Joins, Sargability and the Evils of Residualiciousness” to finally close the day with “SQLCAT: SQL Server HA and DR Design Architectures and Best Practices” with Sanjay Mishra, Justin Erickson and Mike Weiner. I spent Thursday night mostly at the Community Appreciation Party, hosted again this year at GameWorks. I met many people there and ended in the same table with Lubor Kollar who mentioned that he is back to work with the SQL Server Core Engine development team, responsible for query optimization, query execution, and data warehousing. The keynote on Friday started with Rick Heighes, PASS Vice President, Marketing, followed by David DeWitt, Microsoft Technical Fellow, Data and Storage Platform Division. Dr. DeWitt’s keynote, entitled "Big Data: What’s the Big Deal? ", was one of the most anticipated sessions of the conference and focused on Hadoop and its ecosystem of software tools. He concluded his keynote saying that relational databases and Hadoop are designed to meet different needs and they can complement each other so database professionals need to make sure that both technologies work together the best they can. After the keynote I attended Adam Machanic “Query Tuning Mastery: Zend and the Art of Workspace Memory”. Something amazing for me during the conference was seeing my book Inside the SQL Server Query Optimizer available at the PASS Bookstore. Next I am including a picture taken on Friday when there were only a few copies left 🙂 -It is the one with the beacon in the cover. 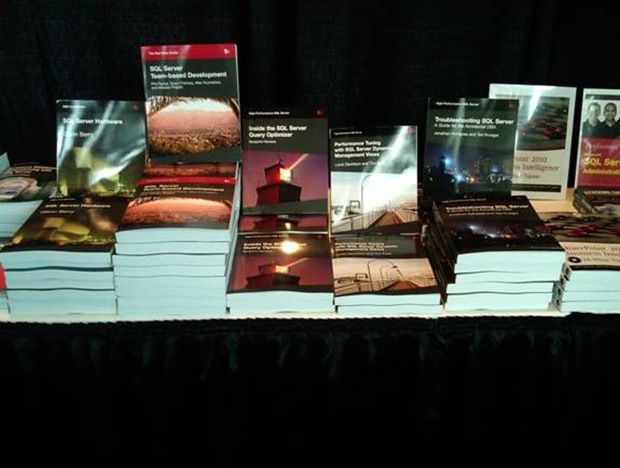 I also saw my book at the Red Gate booth and, of course, I gave away a couple of copies at each of my sessions. Just after lunch on Friday I went to see Susan Price and Murshed Zaman presenting “Project Apollo: How to use Columnstore Indexes to Revolutionize Query Performance on your Data Warehouse”. Susan presented a similar session last year but I was not able to attend it as I was also presenting a session at the same time. I stayed in the same room to learn more about the columnstore indexes with Wayne Snyder’s session “Using Columnstore/Vertipaq indexes in SQL Server code-named Denali” but again I had to leave early as I was speaking next. Then it was time for presenting my last session, “Parameter Sniffing: the Query Optimizer vs. the Plan Cache”. Since this was the last round of sessions at the conference I was wondering, same as other speakers I met at the Speaker Ready room, if nobody or very few people would show up. Fortunately the attendance for my session was good enough and the presentation went really well. Finally I spend Friday night with dinner at the Tap House with several people of the SQL Server community. 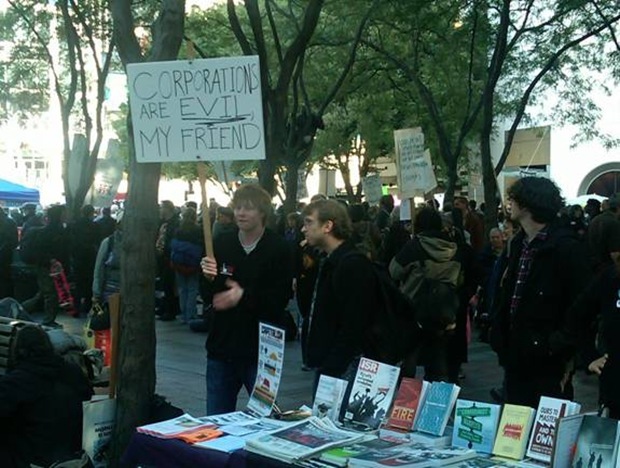 Something interesting I saw on Saturday afternoon while going for lunch to the Hard Rock Cafe was the people of the Occupy Seattle movement on the streets of Seattle. I took several pictures there, one is shown next. I flew back to Los Angeles on Saturday night and interestingly enough I was scheduled to speak again at the SoCal Code Camp at the University of Southern California the next day, where I presented the same two sessions I did at the PASS Summit. In summary, this was another excellent PASS Summit and I can’t wait for the next one, which is already scheduled for Seattle in November 6-9, 2012. See you then. I am currently working on the two sessions that I will be presenting at the PASS Summit: Inside the SQL Server Query Optimizer and Parameter Sniffing: the Query Optimizer vs. the Plan Cache. In addition, I will be presenting these two new sessions in other SQL Server events in Southern California including SQLSatuday #95. First, I will be speaking at the Los Angeles SQL Server Professionals Group on Thursday September 15th. The meeting will be hosted at the UCLA Anderson School of Management and will start at 6:30 PM. I will present only one session, Inside the SQL Server Query Optimizer, in this meeting. You can find additional information about the meeting and directions on their website. Two days later, on September 17th, I will be speaking at SQLSaturday #95 in San Diego, CA. Of course, this SQLSaturday will also have many other great speakers and the final schedule is already posted here. In addition to presenting both of my sessions described before I will be participating in the Ask the Experts – SQL Server Q&A session coordinated by Thomas Mueller. For more details and directions for SQLSaturday #95 please go to their website here. On October 7th I will be presenting my Query Optimizer session at the Orange County SQL Server Professionals User Group in Mission Viejo, CA. Details and directions will be posted soon on their website here. 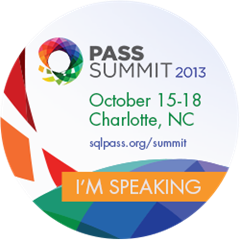 Then it is time for the PASS Summit, the largest SQL Server and BI conference in the world. The PASS Summit is hosted again this year in Seattle, WA and it is scheduled for October 11-14. The schedule for my two sessions is not final at the moment of writing this but so far it looks like I will be speaking on Wednesday and Friday. I am flying back from the PASS Summit on Saturday and planning to present my two sessions at the SoCal Code Camp the following day, Sunday October 16th. The SoCal Code Camp is a community driven event for developers to come and learn from their peers. At this moment they are still accepting sessions so no schedule has been created yet. You can register, find additional information and directions on their website here. Finally, although I am not going to be speaking, I will be attending SQL in the City in Los Angeles, CA on October 28th. SQL in the City is a one day SQL Server training event which will include several SQL Server MVPs and you can look at their site here for more details and information. I look forward to meeting lots of SQL Server professionals on these events. I am honored to be speaking at the PASS Summit again this year. I’ve been attending this SQL Server conference every year since 2003 and this will be my fourth year speaking. Same as last year I will again be presenting two sessions. On my first session, Inside the SQL Server Query Optimizer, I will go into the internals of the Query Optimizer and will show you the steps that it performs in the background covering everything from the time a query is submitted to SQL Server until an execution plan is generated. On my second session, Parameter Sniffing: the Query Optimizer vs. the Plan Cache, I will show you how the Query Optimizer uses parameter sniffing to produce a plan tailored to the current parameters of a query and why in some cases it could be a performance problem, including troubleshooting and solutions to these cases. The PASS Summit is less than four months away and you can register here. I look forward to meeting lots of SQL Server professionals, including those whom I only know via twitter. See you in Seattle in October. I’ve been attending the PASS Summit every year since 2003 and been fortunate enough to be speaking there a few times too. Of course I am planning to attend again this year and I’ve also submitted a few sessions this time. Something new this year though, is the fact that the session selection has been made open to the SQL Server community and we all can vote for the sessions we would like to see at the Summit. Voting closes this Friday, May 20th and we can choose from any of the 646 sessions submitted. So, if you like any of my sessions, which are described next, please vote for them here. I look forward to seeing you at the PASS Summit in October. The SQL Server Query Optimizer is a cost-based optimizer: it analyzes a number of candidate execution plans for a given query, estimates the cost of each of these plans, and selects the plan with the lowest cost. In this session I will go into the internals of the Query Optimizer and will show you the steps that it performs in the background covering everything from the time a query is submitted to SQL Server until an execution plan is generated. I’ll show you how the Query Optimizer generates possible alternative execution plans, how these plans are stored for the duration of the optimization process, how heuristics are used to limit the number of alternative plans considered, how each candidate plan is also costed, and finally how the best alternative is chosen based on those costs. I will also cover why query optimization is an inherently complex problem and why challenges in some of its most fundamental areas are still being addressed today. The SQL Server Query Optimizer is a cost-based optimizer: the quality of the execution plans it generates is directly related to the accuracy of its cost estimations. In the same way, the estimated cost of a plan is based on the query’s cardinality estimation and the algorithms or operators it uses. In this session I will show you how the Query Optimizer uses statistics to estimate this cardinality and why having good quality statistics is extremely important for the performance of your queries. I will also cover how to diagnose and troubleshoot cardinality estimation problems in the cases when you are not getting a good execution plan and will provide solutions to these problems. Finally, existing challenges regarding statistics still faced by query optimizers today will also be discussed. You’ve decided to implement partitioning because you want easier management of very large tables and indexes and want to improve your data loading, deletion and archival operations. But you also need to understand the query processing implications and how partitioning will impact your existing queries. On the other side, many SQL Server users still believe that the primary purpose of partitioning is to make your queries run faster by querying only a specific partition. In this session I will show you the reality and will focus on both how to implement partitioning to achieve better maintenance and data availability and how it will impact query processing, including benefits, potential issues, and recommendations. Parameter sniffing is a good thing: it is used by the Query Optimizer to produce an execution plan tailored to the current parameters of a query. However, due to the way that the plan cache stores these plans in memory, sometimes can also be a performance problem. This session will show you how parameter sniffing works and in which cases could be a problem. How to diagnose and troubleshoot parameter sniffing problems and their solutions will be discussed as well. The session will also include details on how the Query Optimizer uses the histogram and density components of the statistics object and some other advanced topics. This is yet another late review of SQLSaturday 73 which I had to postpone writing a couple of times before. Same as last year, this SQLSaturday was hosted at the Golden West College on Huntington Beach, California so I was already familiar with the place. Different than last year event, fortunately this time I was able to attend the speaker dinner on Friday night which was hosted at the Acapulco restaurant in Costa Mesa, just a few minutes from Huntington Beach. I had a great time at the dinner meeting event organizers Andrew Karcher (@akarcher) and Thomas Mueller (@tmspecial), some of the local speakers like Denny Cherry (@mrdenny), speakers which I usually only meet at the PASS Summit like Denise McInerney (@denisemc06) and Meredith Ryan-Smith (@coffegrl) and meeting new people like Carlos Bossy (@carlosbossy) who was traveling from Denver, Colorado. The day of the event I left home very early in the morning as Huntington Beach is about 75 minutes from my place up north at Santa Clarita and the traffic is sometimes unpredictable but fortunately arrived to the event on time for registration and get some coffee. I saw many familiar faces helping as volunteers for the event and I spent some time talking to some of them before heading for the first session of the day. I was planning to attend as many sessions as possible but since I was also presenting on three of them that proved to be very difficult. The event was scheduled to run six sessions simultaneously and for the first round I briefly attended Clint Kunz’s session “Microsoft Business Intelligence All Up” and later Randy Knight’s “Become Bilingual! Oracle for the SQL Server DBA”. Then it was time for my first presentation of the day, “Top Query Optimizer Topics for Better Performance”, which was the same session I presented at the PASS Summit 2010 and, at the moment of this writing, I’ve presented a total of nine times (and I’ve just found that I will be doing this session again at SQLSaturday 83 for Johannesburg, South Africa too!). 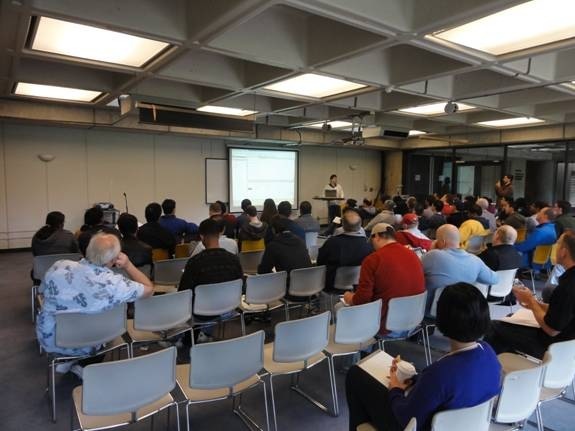 Actually, since I presented some of these sessions on local user groups and code camps I was afraid that the people interested may have seen the session already and decided to attend other sessions instead. Fortunately attendance was really good as you can see on the picture below. I finish my first session by giving away a copy of my book Inside the SQL Server Query Optimizer. After my presentation I attended the only entire session I would be able to see that day and actually one that I was very interested in. It was Ted Tasker’s “Parallel Data Warehouse – Architecture Overview”, an excellent session describing PDW massively parallel processing (MPP) architecture designed for data warehouses of dozens or hundreds of terabytes. Sessions during lunch was a new addition to the event this year and during this time I attended part of Bob Abernethy’s “BI: Then and Now” session and later I hang out at the speaker room for a last review of my next presentation, which I was presenting for the first time. The only other lunch session available was “Women in Tech: Encouraging the Next Generation”, hosted by Denise McInerney. My second presentation was just after lunch and the topic was “Partitioned Tables and Indexes: Management & Query Processing”. As mentioned, this was the first time I was presenting it and I think it went really well, which I was able to confirm by looking at the speaker evaluations later. I finished the session by giving away another copy of my book. From my session on partitioning I quickly ran to another room for the SQL Server Panel discussion where I was participating too. The Panel was coordinated by Thomas Mueller and included speakers Lynn Langit (@llangit), Ike Ellis (@EllisTeam1), Denny Cherry, Bret Stateham (@BStateham), Andrew Karcher and myself. Topics included discussing our favorite new features of SQL Server Denali; advantages and drawbacks of SQL Azure, features that you would like to see in a future version of SQL Server, favorite third party tools for SQL Server, among others. There were also some topics based on questions from the attendees. After the SQL Server Panel discussion I went to the speaker’s room again and was able to meet a few more of the speakers including Harold Wong. I also attended part of Denny Cherry’s “Index Internals” session. SQLSaturday concluded with a raffle where attendees got books and prizes donated by sponsors. The after-party was at Michael’s Sports Pub and Grill located just a few minutes away from the Golden West College where I was able to meet a few more people including Mark Ginnebaugh (@markginnebaugh) who was traveling to the event from the San Francisco Bay Area. In summary this was amazing SQLSaturday and I had a great time there. All I can say is I am ready for the next SQLSaturday here in Southern California. Attached are WinZip files containing the PowerPoint presentation, as well as the scripts used in the demos for my sessions “Top 10 Query Optimizer Topics for Better Performance” and “Inside the SQL Server 2008 Data Collector” which I presented recently at the SoCal Code Camp, the Los Angeles SQL Server Professionals Group and the PASS Summit 2010.